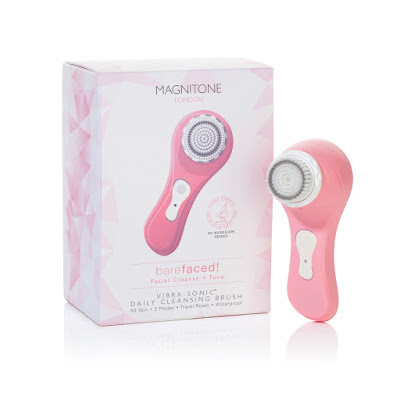 Recently my skin had become so bad with small spots popping up here and there and just looking pretty awful and so.. a couple of weeks ago I started using the Magnitone BareFaced! to clean my face. Magnitone was founded in 2013 by David and Asher in their loft, little did they know that the Magnitone brand would soon become a huge skincare brand and even win awards like First place for best new electrical product at the Pure Beauty Awards 2015! 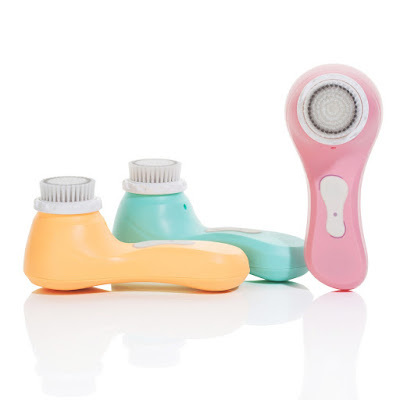 The Magnitone gives your skin a deep cleanse as well as tones your skin. The Magnitone Barefaced! Vibra Sonic technology works on your skin to deep clean pores and remove any impurities as well as brighten the look of your skin. The brush is removable and they do advise that you change your brush head once every 3 months. It comes with a built in timer so it beeps after 20 seconds so you don't spend too long on certain areas of your face - a feature that I found to be extremely handy. When you switch the Magnitone on it vibrates for a minute before shutting itself off and it comes with two different settings - a deep cleanse setting and the toning setting. 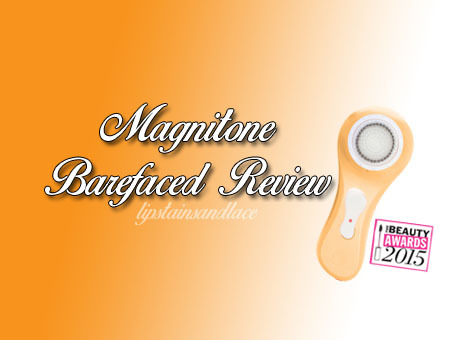 The Magnitone Barefaced is also 100% waterproof meaning you can use it in the shower too if you're really in a rush. Normally I'd be too busy to clean my face properly every morning but this product takes only one minute and no longer. After my first use I could instantly see the results. My skin felt so soft and clean after using it and after a couple of days I started to notice that my skin was no longer as oily as it was before and my skin was looking fantastic. 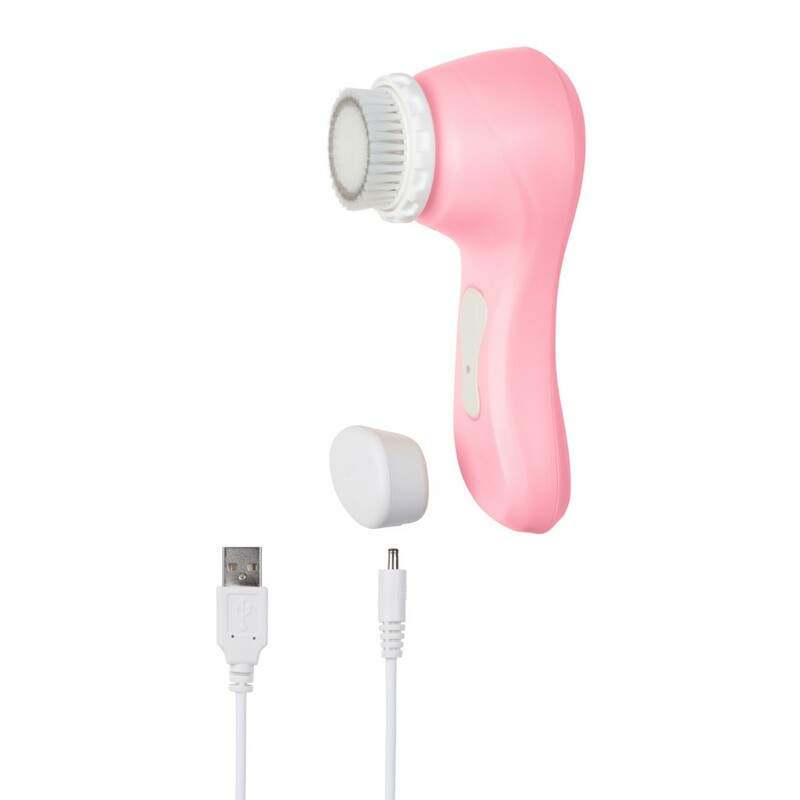 I was amazed at how cool the charger for the Magnitone was, it's a magnet and sticks onto the Magnitone which is then able to charge once you have it plugged in. The product itself is small and portable so it would be easy to carry in your bag or bring with you if you were going away. Before I started using my Magnitone I was never really one for giving my skin a deep cleanse but now I do it every day after seeing results from my Magnitone Barefaced!. My skin feels much softer, cleaner and looks much brighter since I started using the Magnitone. And because the brush gives my skin such a deep clean it helps my moisturiser soak in a lot better as well as helps my makeup look better. The Magnitone Barefaced! is a brilliant product and a great investment for anyone. Anyone that never has the time to give their skin a proper deep cleanse needs this in their life! The Magnitone Barefaced! comes in a range of colours and you can purchase one from the Magnitone website here (RRP £70). Or if you're from Ireland like me.. you can get them on Boots website here - they're on offer at the minute for €90.00 and Boots also sell the replacement brush heads on their website too (€17.99 - €29.99). Have you ever tried any of the Magnitone products before? Let me know in the comments below what you thought! * The Magnitone Barefaced! was kindly gifted to me by the lovely people over at Magnitone London but I can assure you that all my opinions in this post are 100% genuine.